Driving an F1 car is not a particularly healthy thing to do... I want to live a quality life when I’m old, and not suffer from horribly degenerated discs. 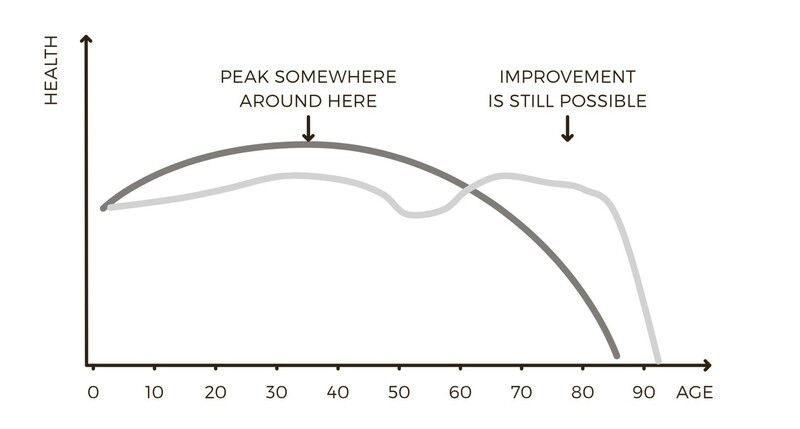 The question of how to maximise ‘health span’ – the period of life during which we are generally healthy and free from serious disease – is increasingly prevalent both in and out of sport. The global market for anti-aging products, technologies and services is expected to grow from $282 billion in 2015, to $331 billion in 2020. Studying ageing is a challenge, because as we get older, the number of confounding factors in observational research increases. The longer we live, the more choices we make, the wider variety of environments, stimuli and stresses we are exposed to. This can distort results, making it difficult to discern the difference between natural declines in health and performance from deteriorations that occur as a result of lifestyle factors and poor choices. 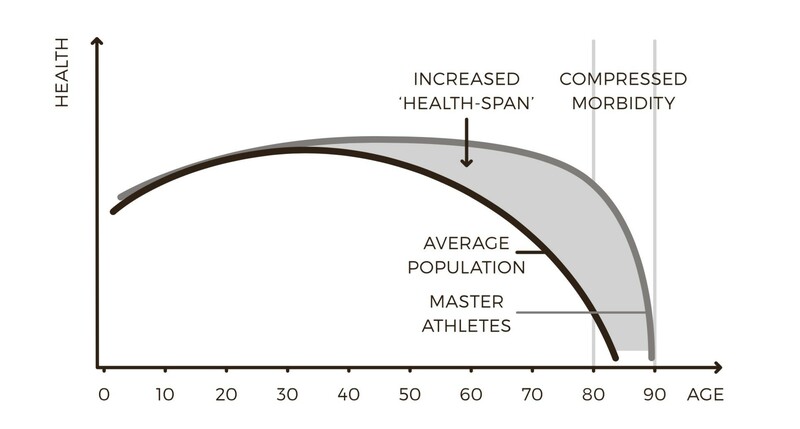 The performance of masters athletes can provide us with a biological model to understand what healthy, optimum aging looks like. 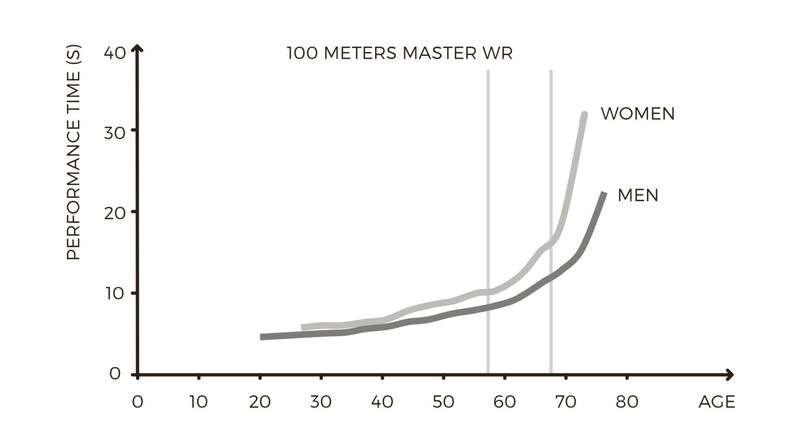 In July 2016, 85 year-old Hiroo Tanaka, from Japan, ran the 100 metres in 15.19 seconds. Sitting for six hours per day, versus three hours, significantly elevates our risk of death, especially from cardiovascular disease, in both men and women.